Brushing the lawn with a stiff broom on dry days will loosen unwanted debris and the mower or garden tractor will collect it next time you mow. If you didn’t feed the lawn in September you can apply an iron based fertiliser. An autumn feed should be low in nitrogen because you don’t want to encourage lush green growth that can succumb to disease in winter. If you are in a colder area now is the last chance to scarify and aerate to get rid of thatch and allow water and oxygen to get to the grass roots. October is a good time to overseed to promote a more even lawn and fill bare patches, broadcasting the seed on a dry day without breeze so the seed doesn’t drift onto carefully prepared borders. It seems you have done everything needed to have the lawn in great shape next year but aren’t you forgetting something? What about top dressing? 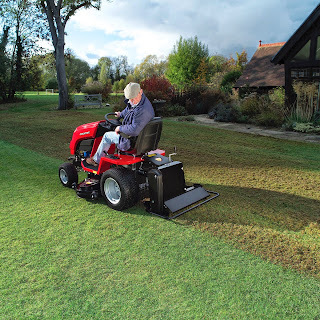 You can top dress at any time, monthly, annually or bi-annually but traditionally it is part of the autumn renovation and maintenance of the lawn. Top dressing is simply the application of soil or organic material to the lawn. It may be made up with a mix of minerals such as sand, clay or silt or organic material like peat or a peat substitute. What you’re looking to do is improve the texture and structure of the lawn while smoothing out irregularities. The dressing needs to be free of salt, stone or lime. A sand based dressing will help improve aeration and drainage while loam and organic matter help enhance water and nutrient retention. 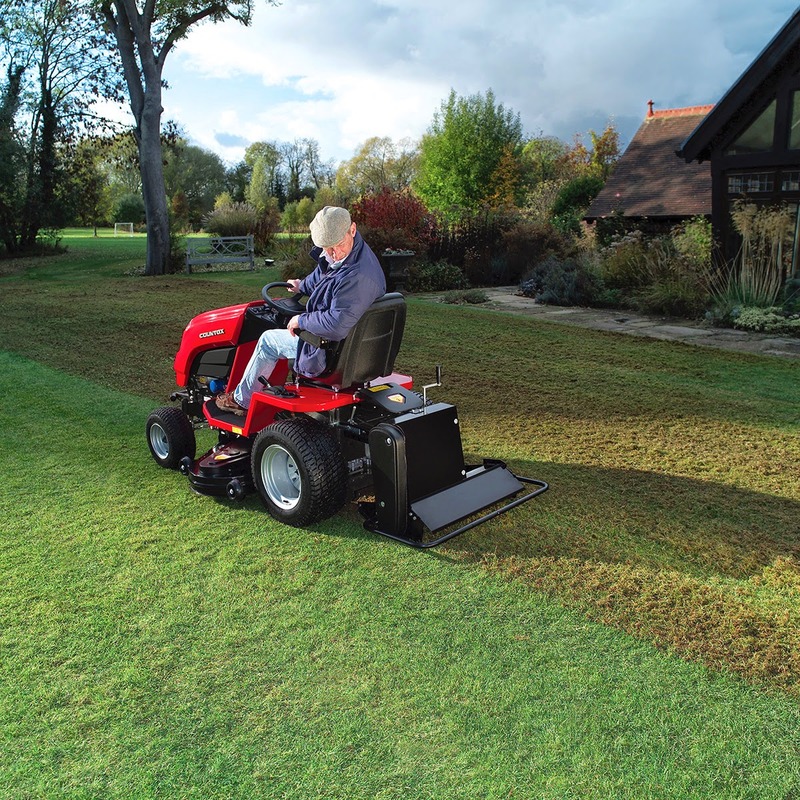 The benefits will be a smoother lawn, reduced thatch, improved drainage or better retention where needed, cracks filled and an even mow with the garden tractor or mower.